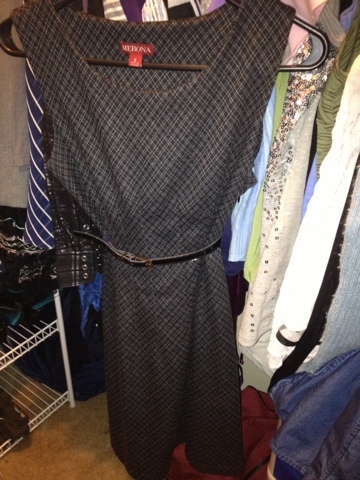 Positively Miscellaneous: Party Like its 1959! I mentioned in my Valentine's Day post that some of my girlfriends and I were going to have a 50s style fondue party! We went thrift store shopping for dresses and fake pearls. There was a stop to Party City for elegant gloves and a lovely boa for Jhenn. We bought lots of fondue cheese and chocolate and cream. We got bread, apples, veggies, angel food cake, strawberries and more for dipping. I was so excited for the night of the party. My dress wasn't a party dress, more of a day dress. The fake pearl jewelry is a set my mom made for me many years ago when I was dancing. It's still some of my favorite jewelry. I did my hair in a little pin backed twist. I found the style on Pinterest (of course, where else?) here: The Beauty Thesis: Perfect simple updo that anyone can do. I picked Katja up and we had to run a few last minute errands. I was very pleased because when I showed up she gave me the best compliment: "You look like Audrey Hepburn." This lovely chalk sign greeted us when we arrived at Jhenn and Krissy's. 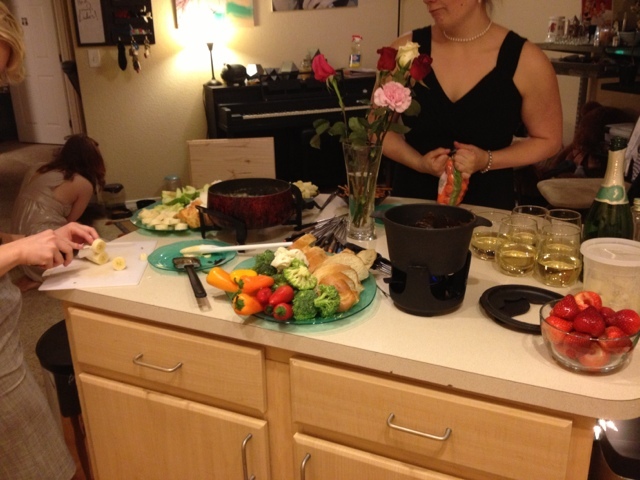 In the cheese fondue we added just a little white wine and a little cherry liqueur. Chocolate and cream went into the other fondue pot and we thought a little cherry liqueur wouldn't hurt that either. 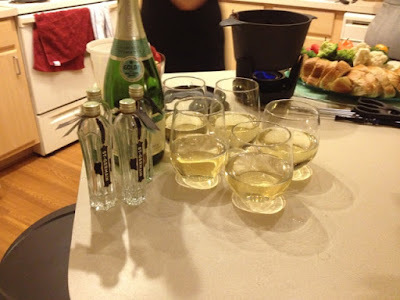 We started with a delicious champagne cocktail with champagne and St. Germaine (an elderflower liqueur). It was delicious! 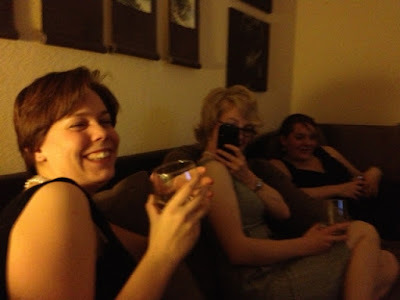 Then we stuck to wine (and some water of course, thanks to Miss Krissy for making sure we remembered to drink some). We found these amazing wines. Jhenn's boyfriend David had gotten one and she loved the bottle so much she brought itt home with her and we all loved it because we love fairy tales. As a bonus, the wines were tasty! My favorite was the Chardonnay which was not as dry as I expected. 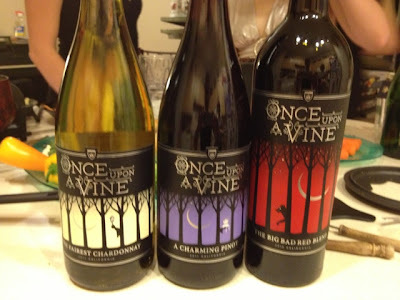 Once Upon a Vine wines. From left to right: The Fairest Chardonnay, A Charming Pinot (its a Pinot Noir), and The Big Bad Red Blend. 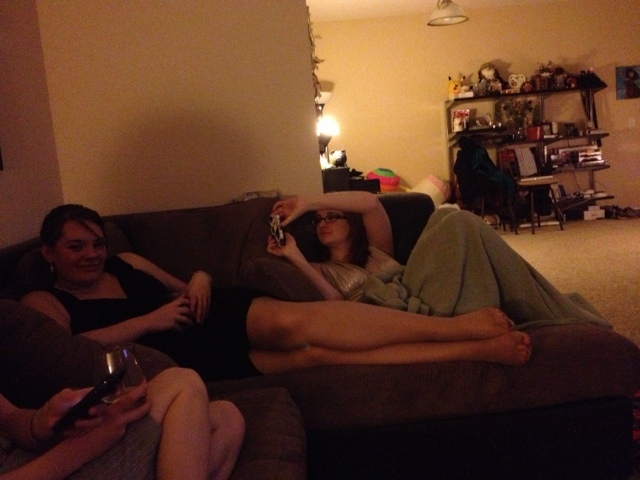 We watched Breakfast at Tiffany's and went on to other silly nonsense. If you are friends with me on Facebook, you may have seen links to some of the silliness that was watched. Then we turned on Kate and Leopold (guilty pleasure movie), but hardly watched it because we were all too goofy by then and we went back for more food. Then the banished boys came home (Jhenn's David brought more wine and one of those bottles was quickly finished). Cat's boyfriend, Drew, was kind enough to give Katja and me rides home. And that was that! 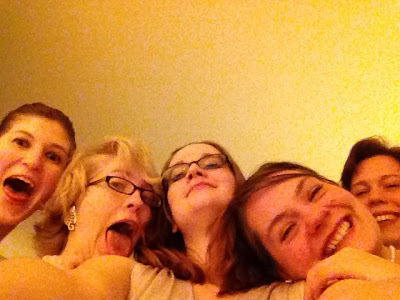 It was tons of fun and we had a lot of laughs. 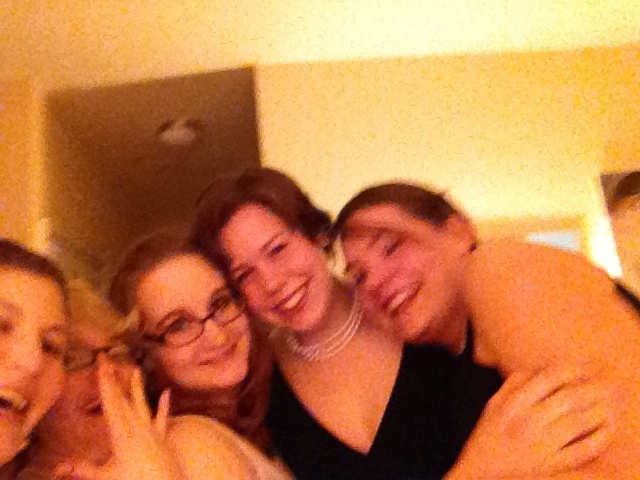 It was great to dress up and hang out. If you're familiar with my blog, you probably know that we like theme parties..
And just so people are warned: when and if I ever get married, I want a 50s style wedding. I haven't run that by Isaac yet, but there's time! I hope you enjoyed! 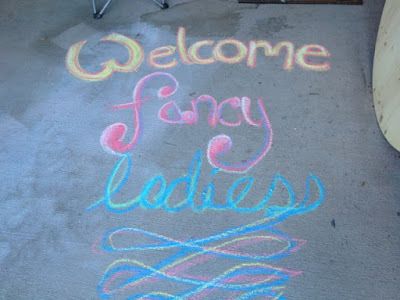 I need to get my friends together and do something similar! Pearl jewellery is a beautiful gift. If you give this gift to your girlfriend's its a nice to see. It's a very unique jewellery and all girls and women love to wear them. 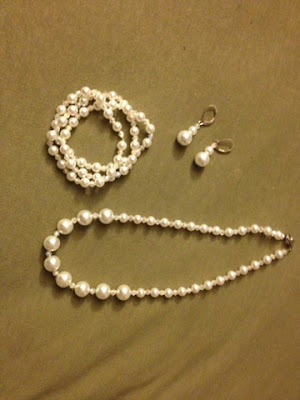 I also have pearlsofpurity-pearl jewellery sets and this is easily mixed with my every dress and material.